"Game Jams" for Healthier Kids in the U.S. There's no denying the universal power of games. Photo by Albert Yap. Michelle Obama’s team at the Let’s Move! campaign is on a roll this week. On the same day as the Childhood Obesity Task Force released its action plan to the President comes another exciting announcement: As part of the Apps for Healthy Kids competition, the U.S. Department of Agriculture is partnering with the International Game Developers Association (IGDA) and Numedeon, Inc., creators of the online virtual world Whyville.net, to host game jams on May 21-23 in major U.S. cities, including Boston, New York, San Francisco, and Atlanta. The game jams will draw game developers, graphic artists, and local youth together to brainstorm ideas and produce video game prototypes from scratch in just 48 hours. The prototypes will be displayed at the sixth annual Games for Health Conference, further refined, and ultimately submitted to the Apps for Healthy Kids competition before that competition’s June 30th deadline. You can find out more about jams near you on the Health Games Challenge website. 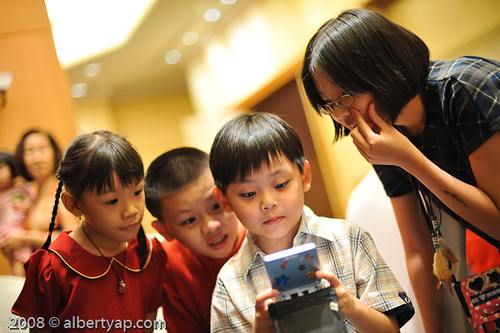 We all know games (and now, mobile apps) are a powerful influence on kids. Not only are they entertaining, but games can help people become astute, collaborative and creative problem-solvers. In TheCityFix Picks last week, we wrote about IBM’s new video game, CityOne, which is kind of like SimCity but for sustainable cities, where players act as city planners, dealing with real-life issues related to banking, water, energy and retail. Why can’t there be a sustainable transportation version of this? Is there a way someone could create a game that got kids excited about biking, walking and mass transit? That helped them think of solutions for problems like air pollution, traffic fatalities and congestion? Developers: Submit your revolutionary idea here.